Образный язык: межкультурные и типологические аспекты. — 2005. — 419 с. —. 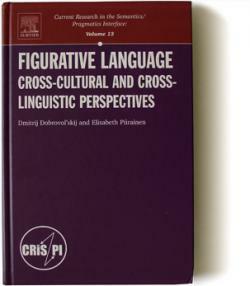 The focus of our study is on conventional figurative units, i.e. not on novel metaphors, ad hoc metonymies, or various types of rhetorical figures, but on units such as idioms and lexicalized metaphors. This study is concerned with developing a linguistic theory that would be capable of taking this feature into account. We refer to this theory as Conventional Figurative Language Theory.